Pop up reminders have been a part of smartphone operating system almost since the beginning. But even when you set reminders it is easy to miss them, or dismiss them, and forget about the meeting or appointment. 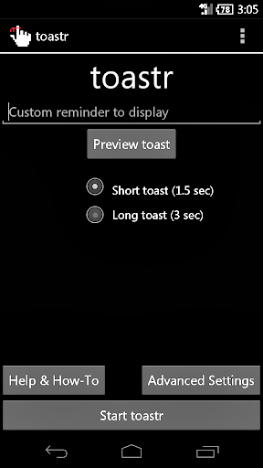 Toastr helps to avoid this problem by popping up the chosen reminder every time you unlock the screen on your Android phone. Unlike the iPhone with iTunes, Android phones don’t have a dedicated way to sync music to the handset. 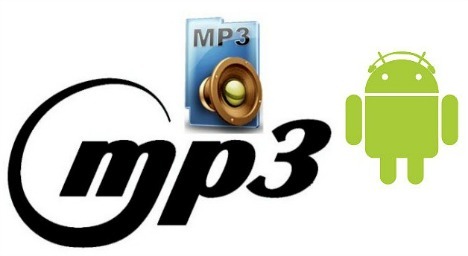 There are some music player apps available which will let you buy MP3’s from various sources, but what about all those MP3’s you have on the PC? However, to getting them to your phone isn’t difficult, it just isn’t as easy as using iTunes Sync. Weight loss is one of the hottest topics ever. Everyone seems to be trying to lose weight nowadays. It doesn’t matter how much exercise you do, the key to losing weight is eating less. However, simply not eating is a no go for many people, and the key to a healthy diet is eating the right things in moderation. If you have ever experienced this, perhaps Diet Point can give you an alternative solution. Finding a good restaurant while traveling is often a gamble. Many people maybe seeking out cuisine that is of Michelin fine dining quality only to find that the chef thinks a Michelin star is awarded for good restaurants. Zagat is a free trusted review of restaurants application from Handmark for android users. 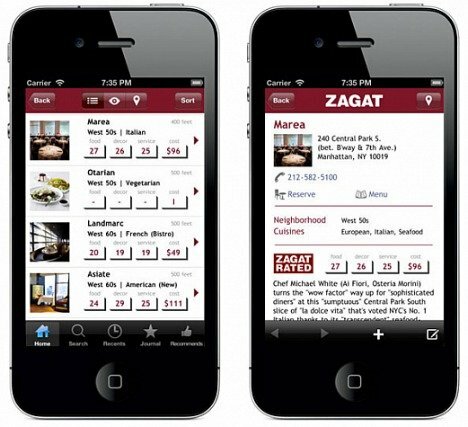 With this application, users can access the most trusted guides to restaurant available with information from over 45 Zagat guides. Zagat features both ratings and reviews, so that users will not make mistake when it comes to finding a great dining experience, no matter they are. Want to protect your Android smartphone or tablet from increasingly potent and malicious threats? Green Head Antivirus for Android is a comprehensive protection and confidentiality of mobile security application from company Green Head. 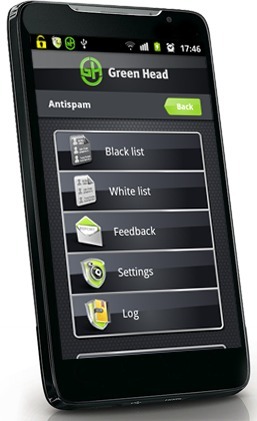 Green Head Antivirus provides real time protection monitors the activity of the installed applications which protecting users from malicious actions that can endanger the security of mobile devices. In addition, it also provides the complete list of programs that can threats the smartphone. The antivirus also does controls and prevents any unauthorized access to the wireless information transmission channels without affecting smartphone performance. Good news to Adobe Photoshop Touch lovers with Amazon Kindle Fire device. 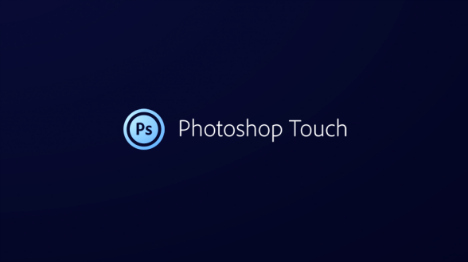 Although Photoshop Touch is already available for Android (and iOS), but it doesn’t support Kindle devices. If you’re looking to use Adobe Photoshop Touch on Kindle Fire devices, Amazon has announced the availability of Adobe Photoshop Touch in the Amazon Appstore for Kindle devices to give users a great experience. People who are looking for free online cloud-based backup and synchronization storage space in smartphone now can get 50GB from Box, free of charge. 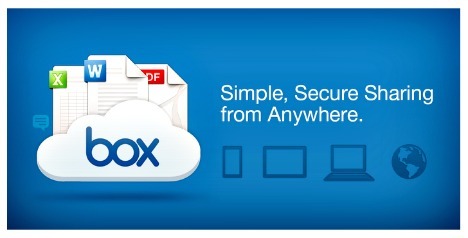 Cloud storage service Box provides an easy, secure and consolidated free online backup, sync, sharing, access, and storage solution. 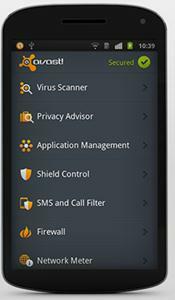 AVAST Software has recently released the latest version of its mobile security app for Android platform. As compared to the previous version, the avast! Mobile Security 2.0 has been improved with several useful features that provide mobile antivirus and anti-theft for Android device at any time and anywhere. With the new features, the avast! Mobile security users can remotely control the phone via Web when the phone missing or loss.